We love eggplant and Shahi Baingan takes this humble veggie to another level! The nuts and raisins add a regal touch to the dish making it fit to serve a king. You can serve Shahi Baingan with hot Chapatis or Parathas. Heat a deep pan on medium and add the melted ghee to it. Now add the bits of nuts and raisins and fry till the nuts are golden. Remove them from the ghee with a slotted spoon and keep aside on paper towels for later. Fry the thinly sliced onion in the same way (in the same ghee as above), till golden. Remove from the ghee with a slotted spoon and keep aside on paper towels for later. The fried nuts and these onions will form the garnish along with the chopped fresh coriander. In the same ghee, fry the finely chopped onion till it is soft and translucent. Add the ginger and garlic pastes and fry for 1 minute. Now add the chopped tomatoes and all the powdered spices. Fry till the tomatoes become pulpy and the oil begins to separate from the masala. Add the pieces of eggplant and add 1/2 cup of water over them. Stir to coat well with the fried masala. Cook till done but not mashed. 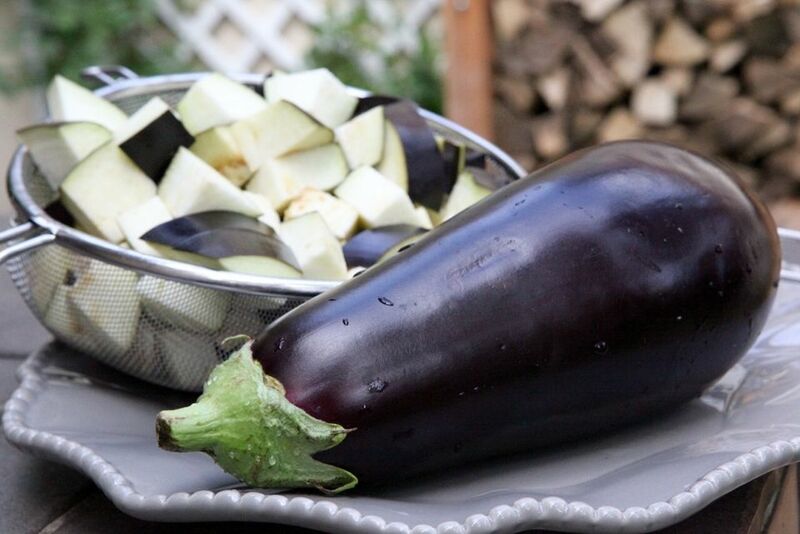 Keep checking the eggplant as it cooks and stir gently to prevent mashing pieces. Add salt to taste and stir. When done the dish must have a thick and minimal gravy. Adjust (adding or drying off) water during the cooking process to get this consistency. Garnish with chopped fresh coriander and serve piping hot with Chapatis or Parathas. Rendang - A Taste of Southeast-Asia!